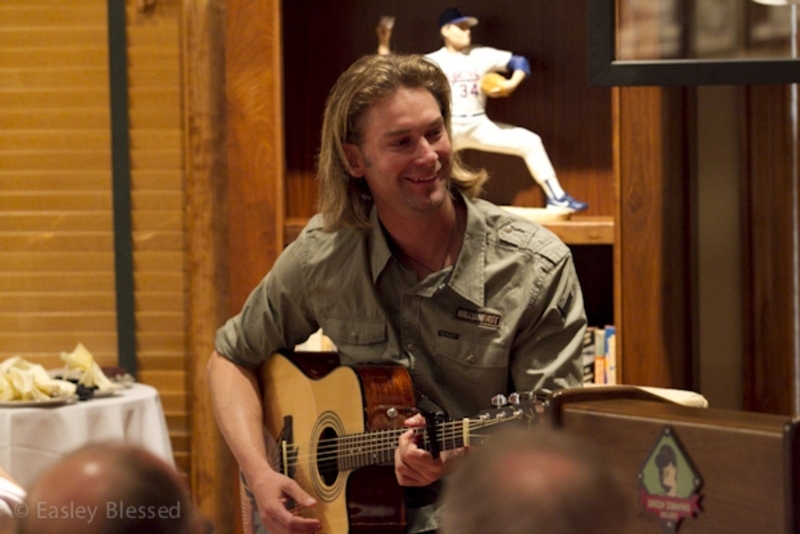 Last Thursday, Dean got the chance to sponsor another Green Diamond Gallery event, this time featuring Cincinnati Reds starting pitcher Bronson Arroyo. Dean got to introduce Bronson, who has been with the Reds for the past six seasons and won at least nine games each year. Bronson got to talk about his time playing for the Boston Red Sox and winning the 2004 World Series. He also showed the audience how to throw one of his famous curve balls and even got to sing and play guitar. Dean said he thoroughly enjoyed the stories about the current Reds team and pitching staff. The next day, Bronson started the game against the St. Louis Cardinals, and, although he didn't get the W, the Reds won in extra innings. Please click here to view our entire selection of Bronson Arroyo baseball cards. 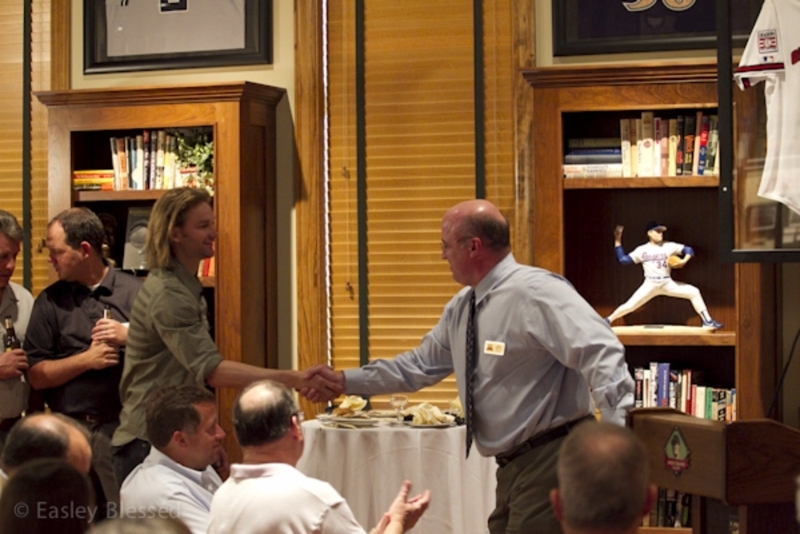 Click here to read about Dean's previous Green Diamond Event experience hosting Dave Parker.